1. Their beauty is unrivaled. Does anyone ever drive down a country lane and exclaim, “Wow — look at that vinyl-sided house!”? Not likely. But happen upon a log home and it’s sure to elicit a reaction. Log homes stand out. They evoke emotion and excitement. And they connect us with our past in a way that few other forms of architecture do. Large or small, log homes are beautiful. 2. The engineering is better than ever. There was a time, in the distant past, when log home construction was a little hit-or-miss. Our forefathers did their best with what they had — and to their credit, many historical log homes are still standing proud, despite their builders’ lack of understanding of wood dynamics, floor plan design or structural engineering. Fortunately for us, today’s log home providers are adept at all of these principles, and their advances in design and engineering result in log homes that are energy efficient and solid as a rock. 3. There are so many new design options. Until recently, the lines between log homes and other types of housing were clearly defined, and they didn’t intersect. Now, those lines not only cross, they are totally blurred. In what’s commonly referred to as “hybrid” or “mixed material” houses, logs are combined with timber-frame, stone, modular and conventional stick-frame construction to shatter the expected boundaries of what a log home should look like. The results are amazing. 4. The desire to embrace a natural, eco-friendly lifestyle. If you’re looking for a back-to-nature way of life, what could be more natural than living in a home that celebrates trees? Some people believe that log homes decimate our woodlands, but nothing could be further from the truth. In fact, they support them. Most log home producers actively practice and promote reforestation, while others harvest what’s known as “standing dead” timber — trees that were killed by insects or fire while still standing in the forest. These dead trees actually are detrimental to the health of our forests, prohibiting new growth and acting as kindling for future wildfires. 5. It's the embodiment of a dream fulfilled. A log home is so much more than a place to live, it's a desire to live a certain lifestyle. the typical log home buyer fantasizes about owning one for years before starting to make serious plans. And even once the decision to take the plunge has been made, most people spend one to three years collecting information, selecting a location, drafting a floor plan and choosing their team before breaking ground. When it’s done, a log home really is a dream come true. 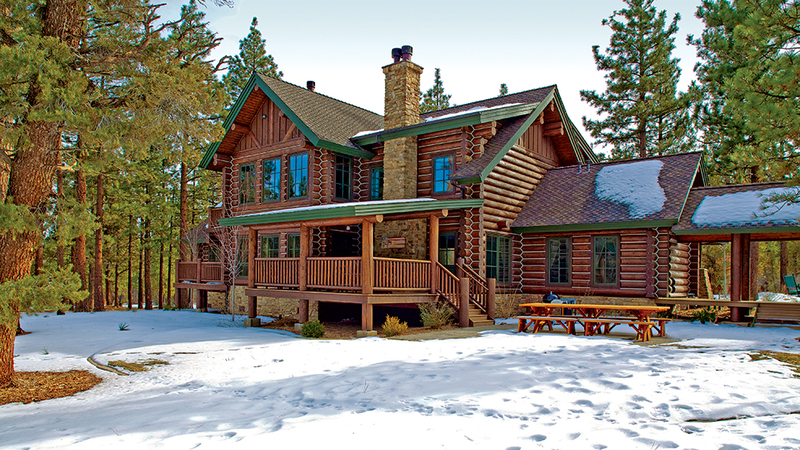 For all these reasons, this, our 2019 Log Home Living Annual Buyer’s Guide, was conceived more than 35 years ago, and this year’s guide has more useful information than ever before. In these pages, we’ll explain the log home planning and building process, help you navigate your choices, teach you the basics so you know what questions to ask prospective providers and provide you with hundreds of inspirational ideas. Everyone needs a place to live. But it’s a truly special person who decides that their place will be a log home. What will yours be like?